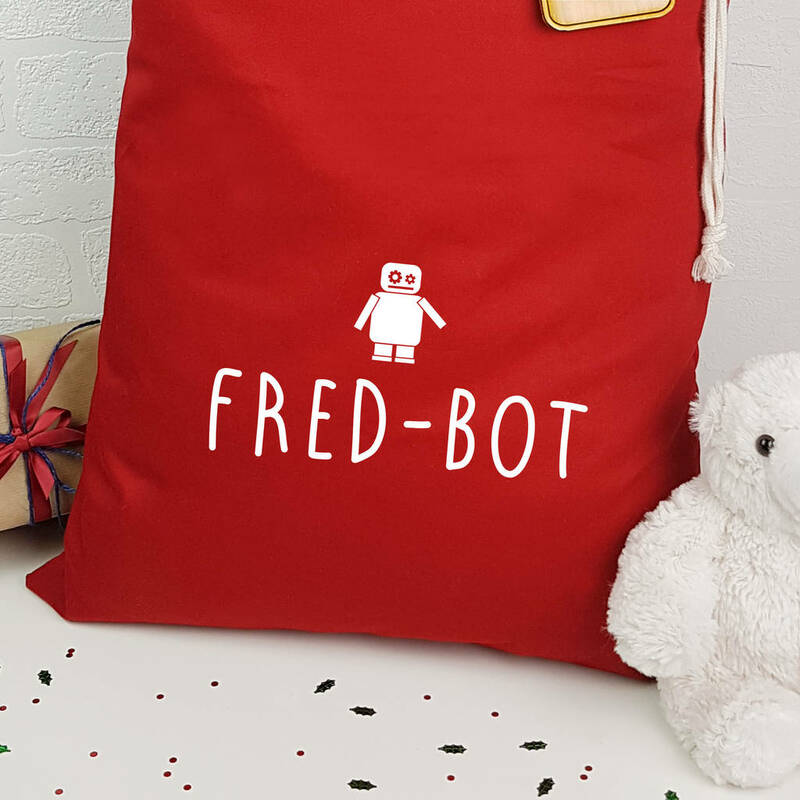 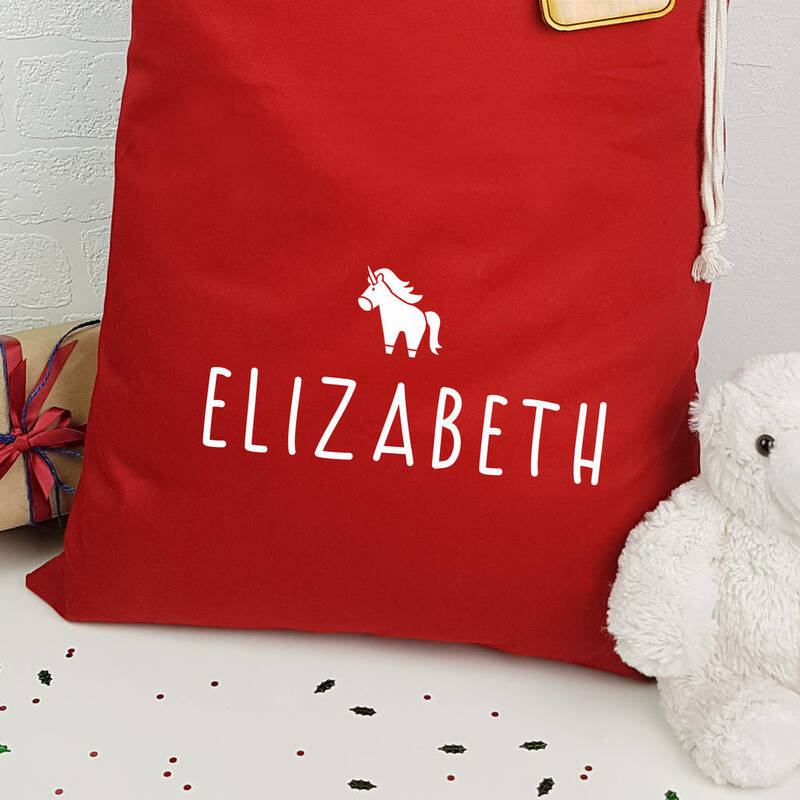 Lovingly hand pressed, your chosen name and design will appear in a bright white velvety flocking and is ideal for all the family and can be used for many years to come, looking great by any tree or at the end of the bed! 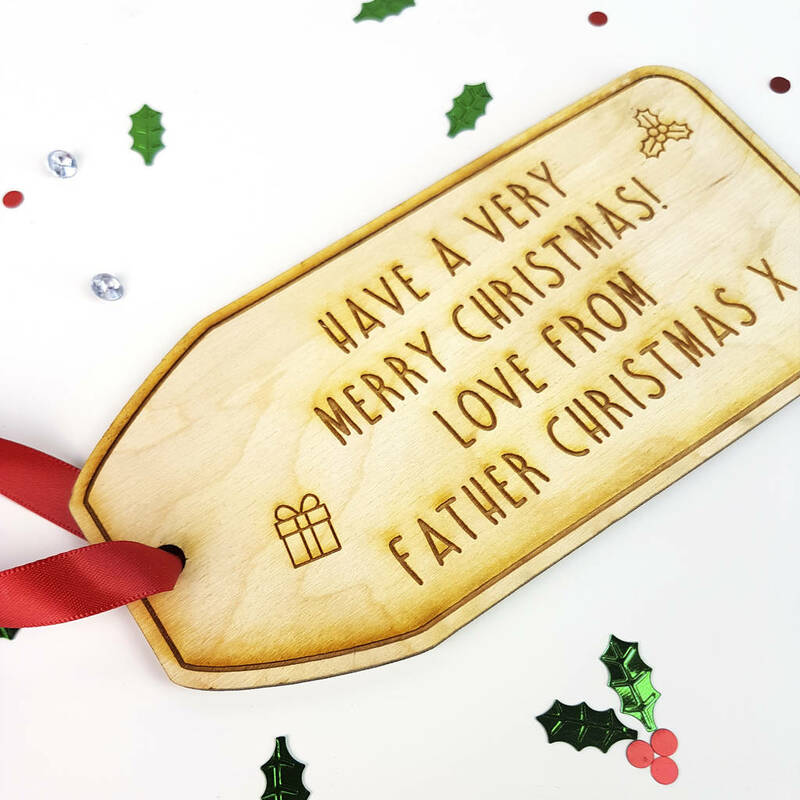 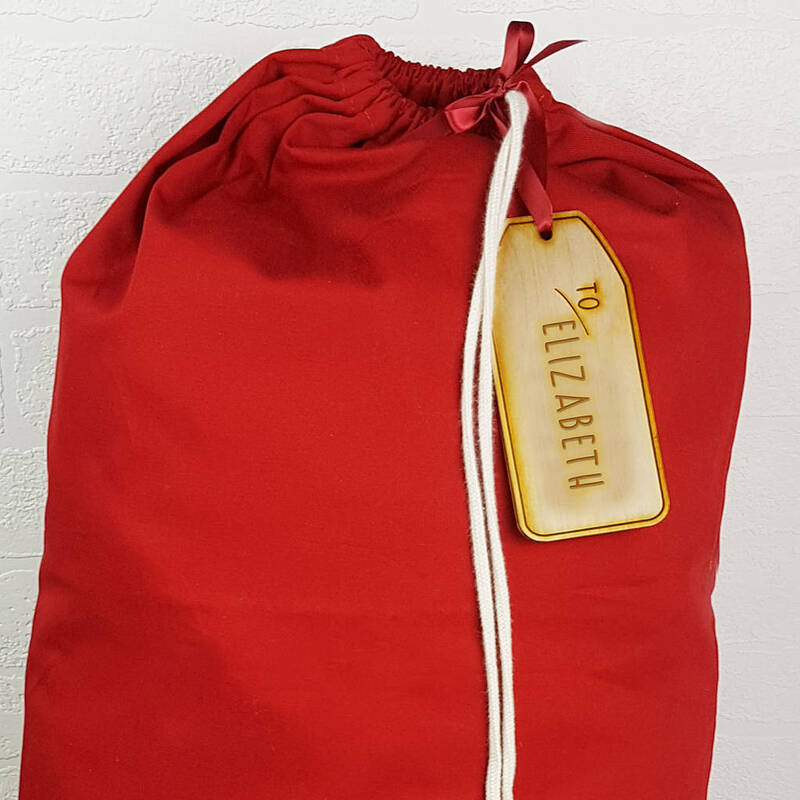 We have also added an extra special touch, by including this gorgeous over-sized engraved wooden tag with red satin ribbon. (The tag also available to purchase seperately - see related products). 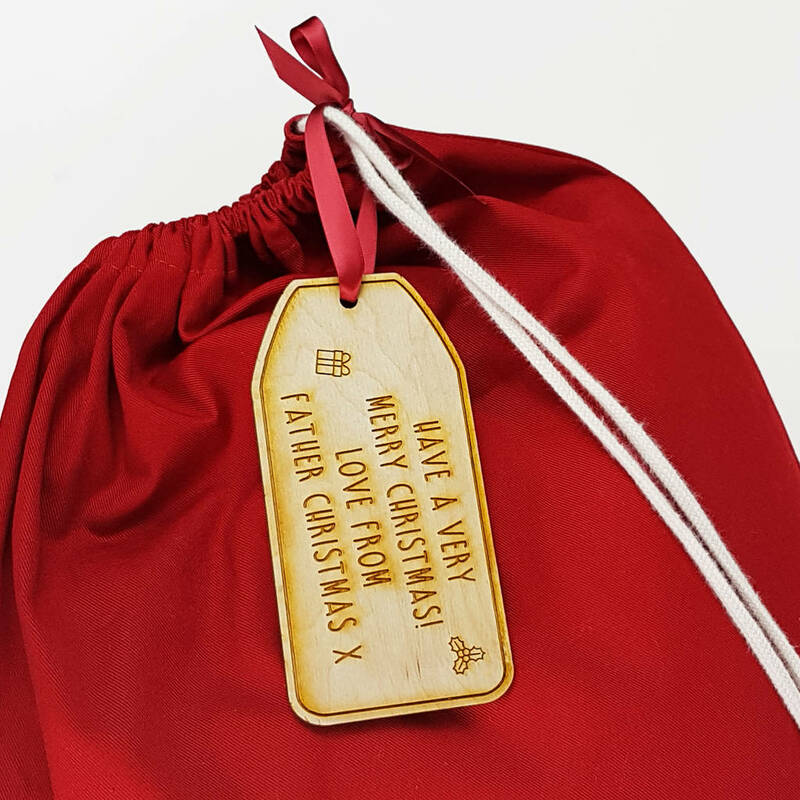 The tag is engraved on both sides, so specify the name for one side and a personalised message for the other. 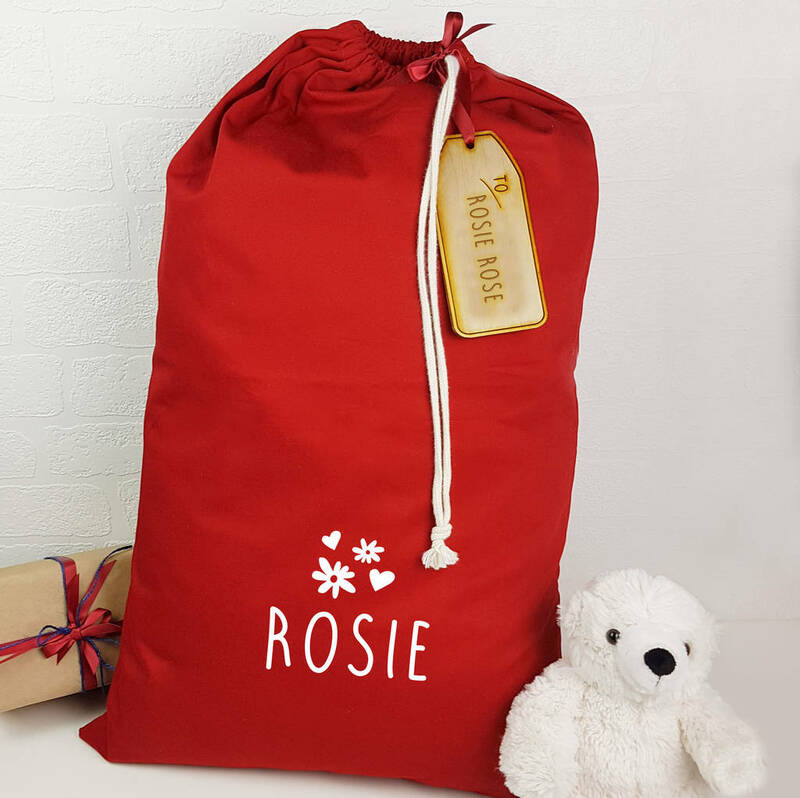 These are all made to order, so any bespoke requests, i.e. different fonts or wording please do not hesitate to ask.